Bill Godfrey of Natrona Comes Together, the grassroots neighborhood improvement group, says the group has a list of goals for this year for this aging, riverside neighborhood that’s nestled between two steel mills. 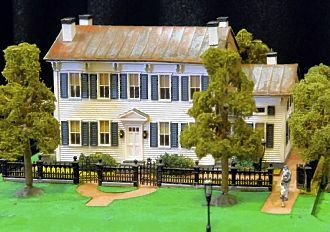 One is establishing a row-house museum on Federal Street. 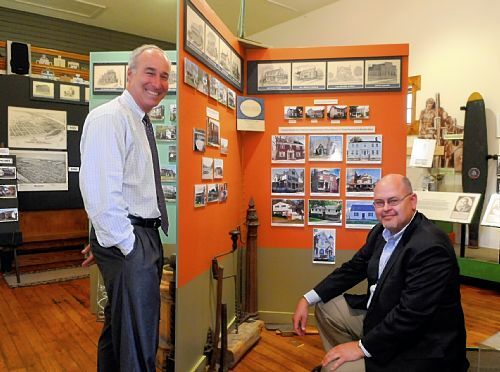 The project would restore a row house to its original state and be operated by the Pittsburgh History & Landmarks Foundation. Residents have been donating artifacts to the proposed museum, but the discovery of a $6,000 tax lien on the property possibly could complicate the project. A steel heritage sculpture is proposed for the corner of Federal and Blue Ridge Avenue. 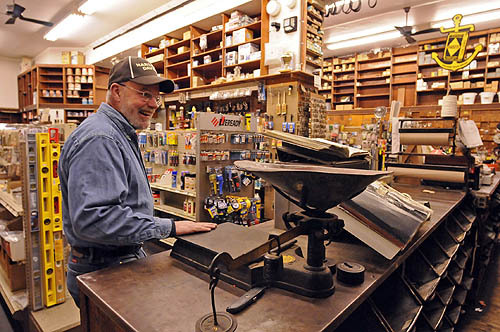 Natrona Comes Together needs $1,300 to buy the vacant property. The sculpture will resemble the coal miners’ memorial sculpture in the Harwick section of Springdale Township and will be sculpted by New Kensington native Steven Paulovich. The parklet will be managed by the Rivers of Steel Group, based in the Mon Valley. Another project involves ongoing additions to the Natrona playground. A concession stand, bike racks, landscaping and a horseshoe-pitching court are among the planned items for the $142,000 federal grant. Godfrey’s group hopes to have the former bank building renovated to the point where it could be sold, rented or leased to a private business. The Natrona group also hopes to get AmeriCorps members to help manage the park and mow grass on vacant properties in the community. By next summer, Madonna del Castello Church in Swissvale will be transformed into four condominiums. 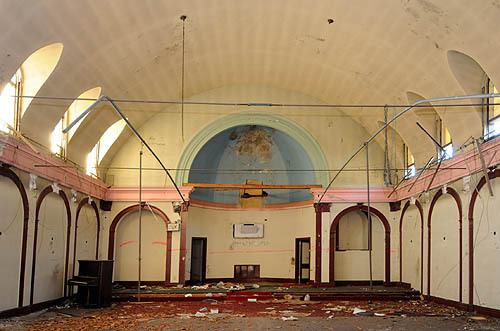 Located at 7416 Duquesne Ave., the former Roman Catholic church has been empty for the last five years, said Patrick Shattuck, senior real estate developer for the Mon Valley Initiative. Mt. Zion Fire Baptized Holiness Church of God of America purchased the church from the Diocese of Pittsburgh in 1987 for $55,000. About five years ago, the congregation moved out, Mr. Shattuck said. 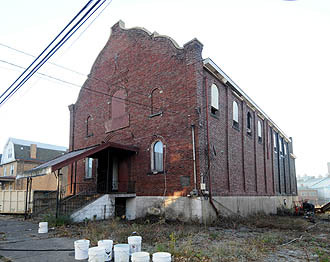 In September, Mon Valley Initiative purchased the property for $10,000. The church has a front Flemish-style gable, a barrel-vaulted ceiling and a large dome over the altar; all of these elements will be incorporated into the redesign. “The space will certainly be dramatic with the high, barrel-vaulted ceilings. 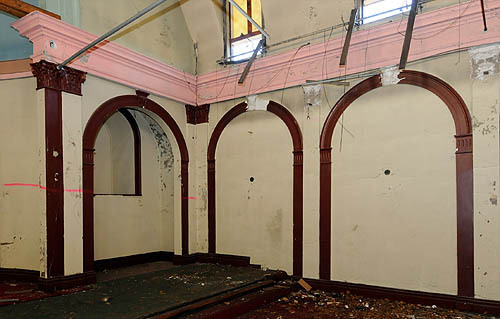 The altar will become a dining room with the dome over it,” Mr. Shattuck said. The building has been reconfigured by Lami Grubb Architects; renovations will be done by Mistick Construction. The building has stood empty and open to the elements, sustaining major water damage. “The congregation that took it over actually put a dropped ceiling in. They were unaware that the water damage was substantial. So, they repaired the roof but a good portion of the plaster ceiling fell onto the dropped ceiling. That was when they were forced to move out,” Mr. Shattuck said. The plaster was actually helping to hold the building together, he said. When structural engineers examined the building, they found gaps between the walls. 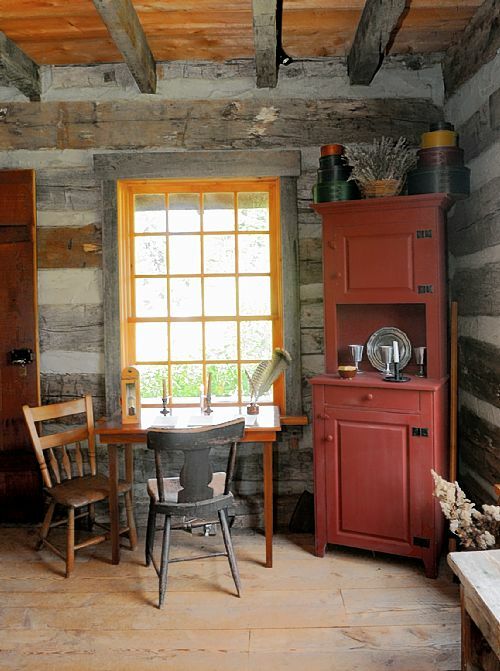 “You can see daylight between the front wall and the side walls,” Mr. Shattuck said. Three of the new units will have 1,600 square feet, two bedrooms and 1 1/2 baths and be priced at $85,000. The fourth unit, which incorporates the dome over the altar, will have three bedrooms, 2 1/2 baths, a study and 2,400 square feet of space. It will cost $105,000. Asbestos has been removed and the red brick exterior is being cleaned. Cast plaster moldings, six Corinthian capitals and arches in the church will be recast and incorporated into the design. The church sits on a quarter of an acre and there will be off-street parking for residents. “We own a double adjacent lot next to it. There were two buildings that we had to demolish. It may be that we develop a single new house on the site or it may be that it becomes a community garden space,” Mr. Shattuck said.